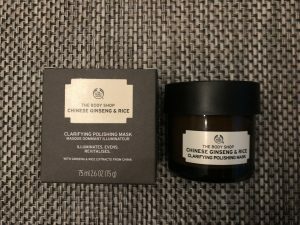 Today’s review is about the Chinese Ginseng and Rice Clarifying Polishing Mask made by The Body Shop. It is the 5th one I own and my nr 1 most loved mask from this entire series. 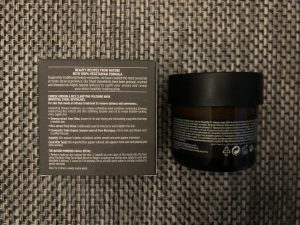 Yes, yes, I know, sneaky me, reviewing my holy grail mask as the last one from the entire bunch 🙂 It does everything for my skin what I’m expecting a good wash-off mask will do! 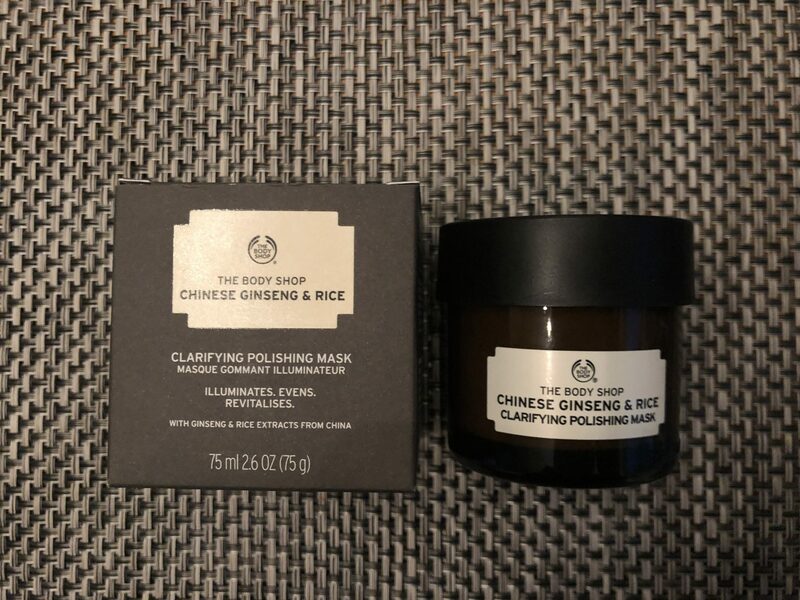 Give your skin a new lease of life with our Chinese Ginseng and Rice Clarifying Polishing Mask. Inspired by Chinese traditions, we have blended ginseng extract, rice extract and sesame seed oil into our 100% vegetarian creamy exfoliating mask, that has been formulated without parabens, paraffin, silicone or mineral oil. Use two to three times a week to reveal brighter-looking, even and supple feeling skin. For skin that needs an intense treatment to remove dullness and unevenness. After removing makeup and cleansing the skin, use the Facial Mask Brush to smooth an even layer of the Chinese Ginseng & Rice Clarifying Polishing Mask onto the face avoiding eye and lip area. Apply to neck and décolleté if desired. Leave for 5-10 minutes then rinse off with warm water and a muslin cloth in circular motions to gently exfoliate. Use 2 to 3 times a week. Use various masks in different areas to target specific areas of your face. I’m in love with this mask since the day 1 when I’ve actually got the sample of it in the shop. It is my go to mask if my skin is dry and looking grey that frequently happens after a sleepless night. 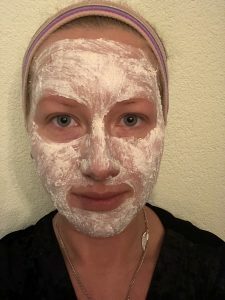 I apply it on my face and in 20 minutes my face turns back to normal. After using this mask in the morning, my skin turns into the ultimate and oh so perfect canvas for my make-up. The texture of this mask is clay based. It is filled with bits of the of ginseng root and small rice particles. 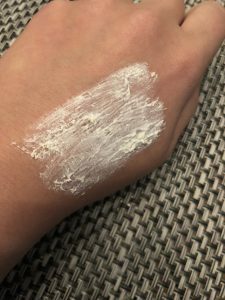 Mask itself is opaque white and you have to apply it in a thin layer. It never dries entirely, hence there is no pulling or tugging on the skin. 5 minutes into the application I feel cooling effect that is caused by menthol oil. By the way, there is plenty of alcohol added into the ingredient list which is a big no-no for me but somehow this entire thing is so well balanced that my skin is never dry nor dehydrated after use. I love what The Body Shop has done with this mask in terms of formulation.